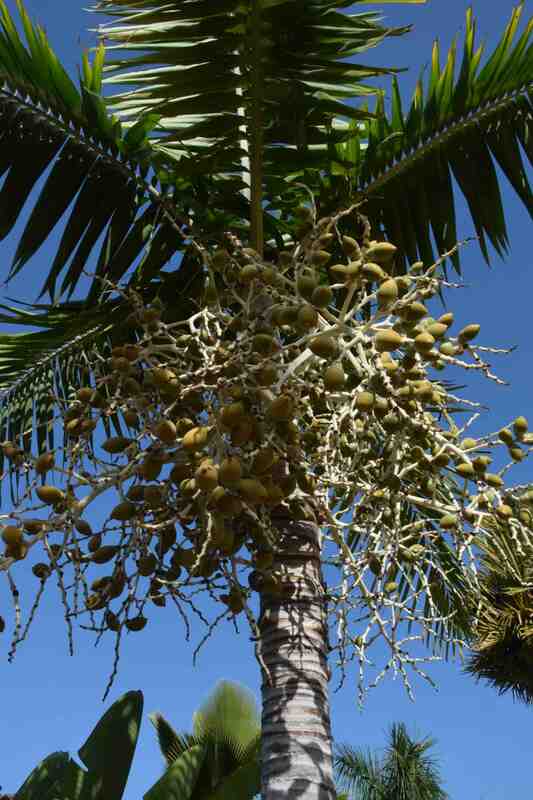 This palm has recently had its name changed from Veitchia montgomeryana to V. arecina. Veitchias are named after the famous English nursery that sent plant hunters around the world in Victorian times. This palm is native to Fiji, Tonga and Vanuatu. 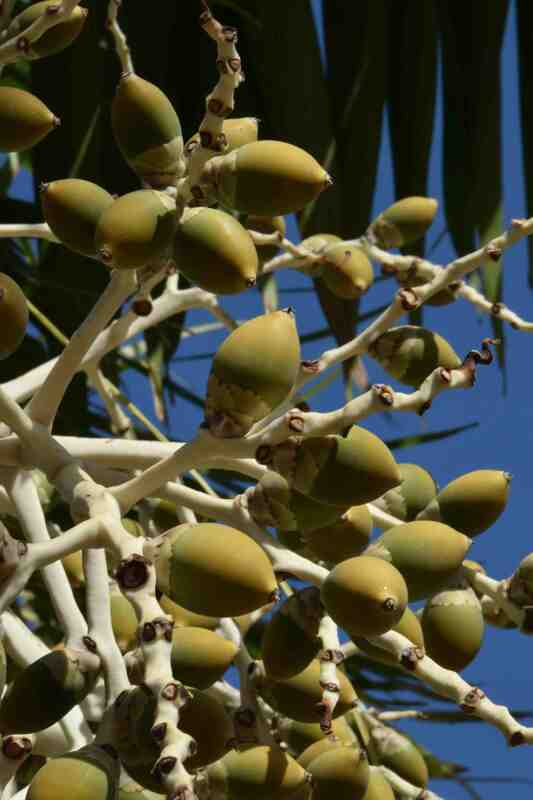 It is a tall, slender palm, up to 30m high that needs plenty of warmth to thrive, higher than USDA10a. It has leaves up to 3m long with a silvery white crownshaft about 1m long that gives it a clean, attractive appearance. Both male and female flowers are produced on the flowers clusters and these develop into fruits about 3cm long. Because it is a slender, elegant plant it is widely cultivated in warm climates. We have a particularly large Trachycarpus fortunei growing here in our garden. It is about the only palm we can get away with in our climate, and even that looks decidedly grumpy with snow in its crown!